Happy (almost) end of 2016! As the year draws to a close, it's time for my annual countdown and editorial on my top 5 most popular posts from the past year, as well as a review of my personal favorites that didn't win the popularity contest. It's always a fun/weird exercise to see what people and spambots liked while revisiting some of my most-loved posts that didn't make the cut. 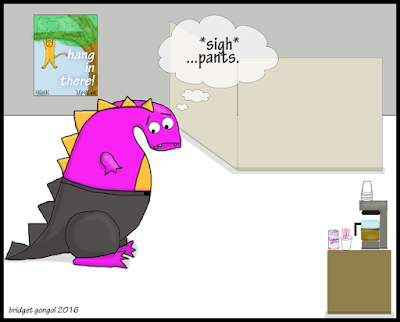 Every year I write a countdown post thinking that I will get to be super lazy, but the truth is, I end up writing far more than I intend and stressing about the final product, per my usual. Either way, hopefully you enjoy getting to know some of the stories behind the drawings. 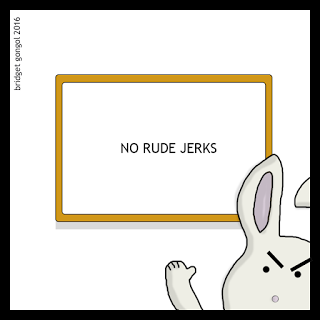 This is my new motto for life: no rude jerks. Honestly, though, I really do think that please, thank you, and you're welcome (said sincerely) are still the simplest and best ways to show appreciation and respect for others. We could all use a bit more of it, I think. On a mostly unrelated note, I was really into drawing bunnies this year. I can't explain it other than they're wicked cute. Also, angry bunnies make me laugh. Before anyone calls me out on it, I admit to the fact that I dye my hair WAAAAY too much. The main point is: most people are kind deep down. Be that person. Take some time to understand who you are, and as long as that person isn't a jerk, own it. I even eat kale on the regular, but I stand by this sentiment. 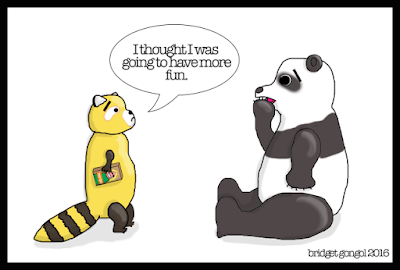 Guilt trips are a nasty beast that usually aren't intended, but end up hurting a lot of people. Direct communication is something that I constantly aim to be better at and constantly fail at. This post was *super* close to making the top 5. Alas, it didn't make the cut. 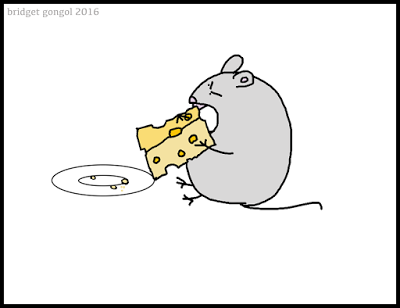 But I HAD to acknowledge one of my favorite drawings of 2016: mouse hate-eating cheese. This one is just about as self-explanatory as they get. Some days I miss my adult ed career, but most days I'm really pleased with the direction change my life has taken. 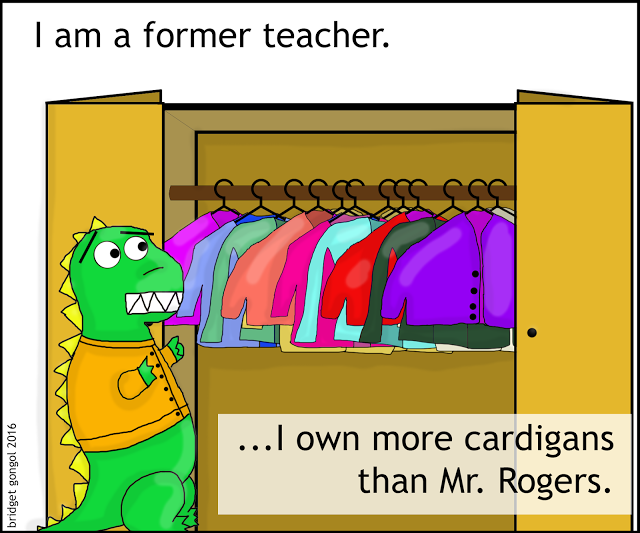 Anyway, the most tangible reminder of my time explaining parts of speech is the obscene number of cardigans (and a few blazers from a super weird job) hanging in my closet. Can any of my educator friends explain to me this phenomenon? Seriously. 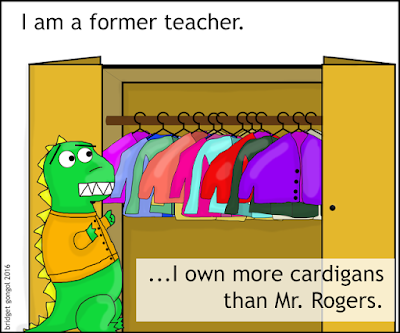 Why do I own no fewer than 12 Old Navy cardigans? It's not like a normal sweater wouldn't have worked or the cardigan apocalypse was coming. Another close call. What can I say? 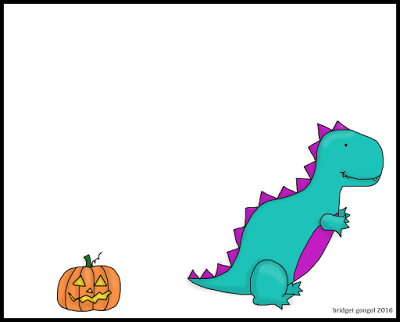 Dinosaurs + the best season + cute = win. We all know that person who just...doesn't have their act together. 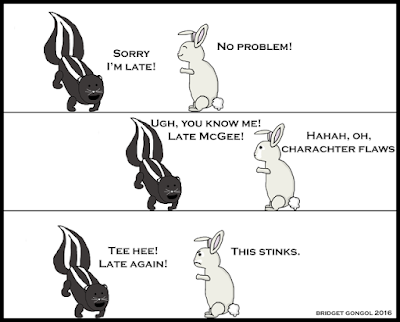 I by no means am perfect; being the first one to come into the office, I'm usually a skosh late to work knowing that it doesn't matter if I'm there at 8:30 or 8:33 to help...noone, and always make up any lost time. 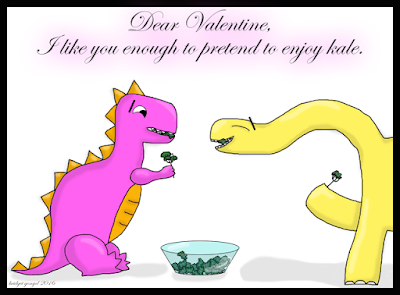 (And if by some fluke a boss of mine is reading this, JK! I am always perfectly punctual. Always.) 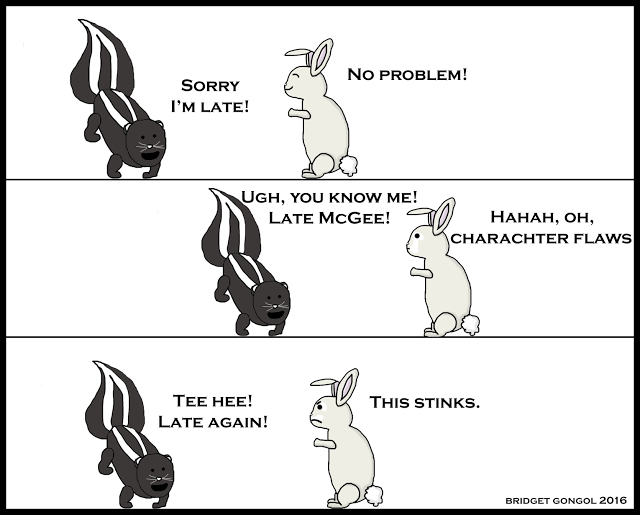 Anyway, the point when your tardiness affects others is where I draw the line, though. It's a sign of respect for others, their lives, and their time to be on time. Period. #3:PM Me to Learn More! 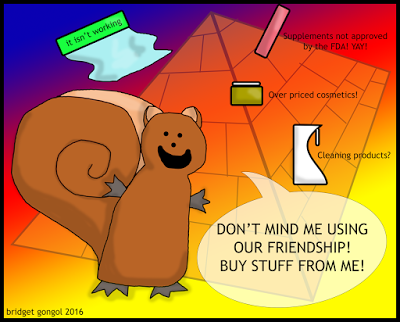 This one came about after one too many facebook posts hawking ugly jewelry/skin care/cleaning products/supplements/snake oil/etc. I was surprised that it didn't result in more unfriendings, but I guess that assumed that more people pay attention to me on the internet than actually do. 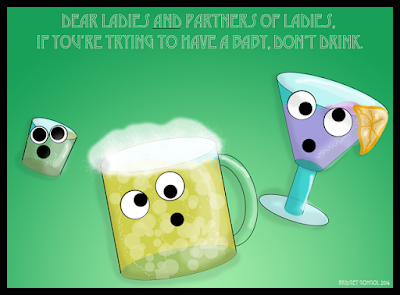 (whew--here's to anonymity!) Regarding the modern day tupperware party on facebook, I totally get wanting to make an extra dollar. But using/guilting your connections into building up your pyramid under the guise of "I really believe in it" is crappy. Please stop it. Ah, yes. 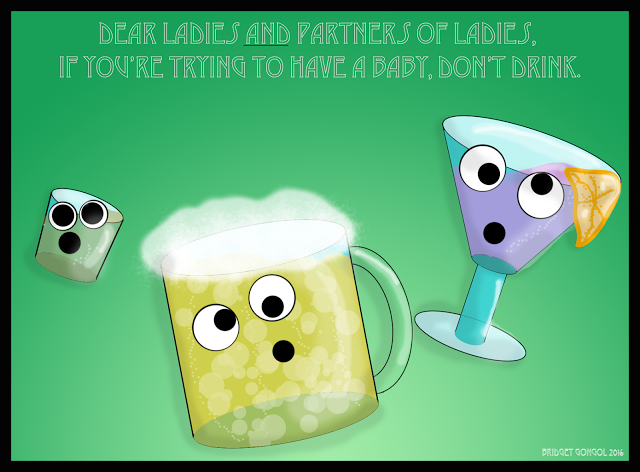 Early 2016, when the CDC ticked off a lot of people regarding alcohol/pregnancy guidelines. If you know me, you know I believe strongly in public health and sharing accurate, scientific information. Unfortunately, a nuanced conversation doesn't always make for the most marketable or attention grabbing poster. Long story short, I did my best to clarify what I thought were the CDC's intentions. Whether or not I succeeded remains yet to be seen, but hopefully it at least opened the door for a more careful conversation about safe pregnancy and supportive partners. Macy was the living teddy bear I always dreamed of and the best cat I could have ever hoped for. I take pride and comfort in knowing that I groomed her and told her I loved her every day. She was amazing, and the time I had with her will always feel far too short. I wrote this tribute to her the week after she passed away. Leave it to one of the most painful experiences to be the most universal. By far, this post got the biggest response of 2016. I cried the entire time I worked on this, and I'm tearing up just revisiting it. Our animal companions are so incredible. If you have a four-legged love in your life, please don't ever take them for granted. If you're in the market, please consider adopting/rescuing from a local shelter and spaying/neutering. Rescues have so much love to give, and by giving one a second chance, you're helping save multiple animals. 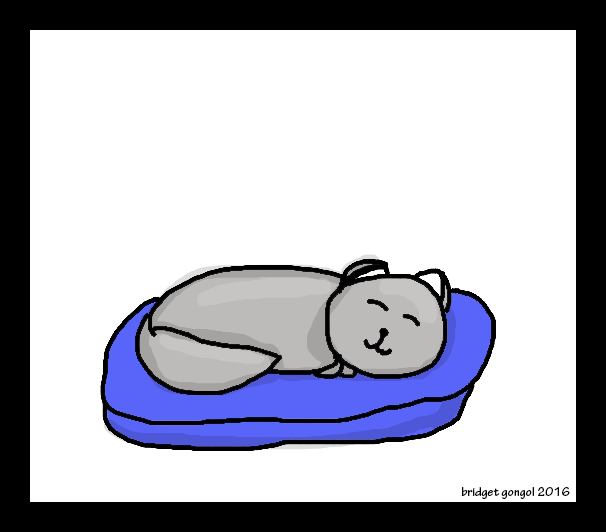 And on that melancholy note, my drawings of 2016 have come to a close. Thank you for your support and love. It always surprises me that there are any of you out there reading this--your support and enthusiasm mean the world to me. Here's to a happy & hopeful 2017!